Radio Mobile is a free (not open source) RF Propagation simulator. Originally intended for amateur radio operators, the software is also perfect for plotting long distance wireless links on the 2.4ghz and 5.8ghz bands (and any other for that matter). You can find thorough documentation for the software on http://radiomobile.pe1mew.nl/ but I would like to make a few tutorials specifically geared towards 802.11 networks. Alternatively you can use my own installer available HERE. This installer includes all the language packs as well as a number of antenna profiles and configurations making it ideal for 802.11 networks. Your first step, whether you used the installer or extracted the files manually, will be to enable the private data sources. This allow RM to access Google Maps among others. You can now open RadioMobile by running "rmweng.exe" the exe may be different depending on your language. 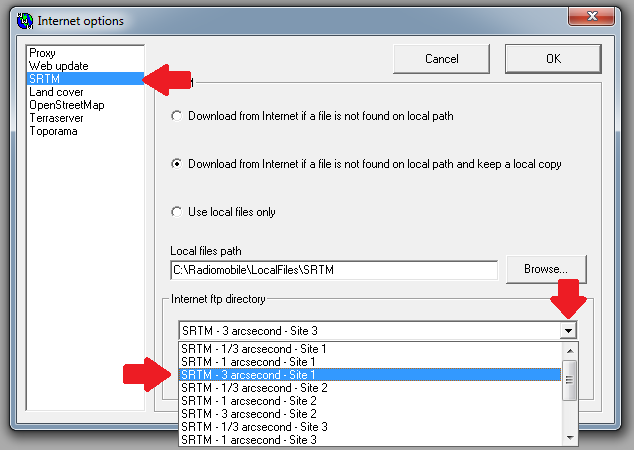 If you used the installer, the internet data sources are already pre-configured, but you may have to check the SRTM resolution. For my area there is no higher res than 3 arc second. 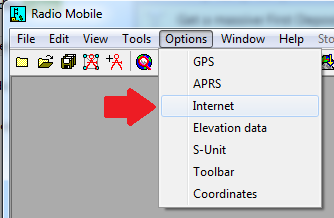 Select SRTM in the left pane, and in the dropdown select the appropriate SRTM resolution. Use trial and error to get the highest res for your area. Before you start, it is important to understand a couple of underlying concepts of the application. A network file is a structural container within Radio Mobile. It server as a container for Nets and Units, and is also the element that is stored when you save a Radio Mobile project. A net is the container that defines the parameters of a collection of Units. This includes the operating frequency, topology and polarization of individual units. Within our context, a net can be used to simulate a single high site antenna with all the clients connecting to that specific antenna. Within the context of a 802.11 network, a unit will refer to a single WiFi antenna. Please note that these are simplified definitions and the reality is quite complex should you wish to explore it. You can now proceed to the next tutorial: Setting up your first network.